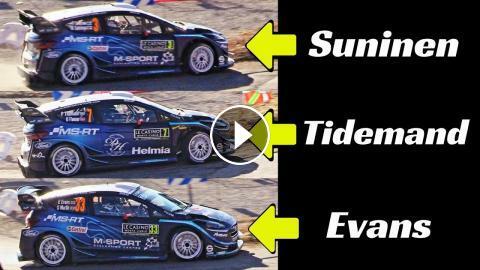 Finally, the WRC 2019 started with the Monte Carlo Rally, we are near Gap, in the French Alps and this is the 3x comparative video between Teemo Suninen vs Elfyn Evans vs Pontus Tidemand with the videos taken during the special stages I followed. Epic Flatouts, Max Attack, Action & Pure Sound aboard the Ford Fiesta RS WRC Plus by M-Sport. In the final classification of the Rally, the couple SUNINEN/SALMINEN reached the eleventh place overall. The twentieth place for the crew TIDEMAND/FLOENE and unfortunately withdrew for EVANS/SCOTT. Bryan Bouffier & Panseri Xavier Highlights - WRC Monte Carlo 2018 - Ford Fiesta WRC Action & Sound!